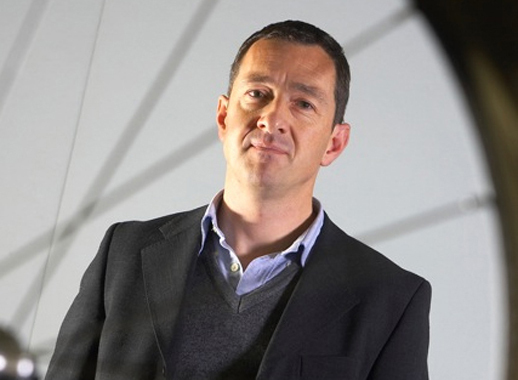 Former World Time Trial Champion, Tour de France stage winner and Hour Record holder Chris Boardman joined the assembled press on the final stage Tour of Britain on Sunday. In a twenty minute chat he offered his thoughts on Brad Wiggins’ chances in the upcoming Worlds TT, Alex Dowsett’s future prospects and ex-teammate Jens Voigt’s Hour Record attempt, among other things. Here’s what he had to say. 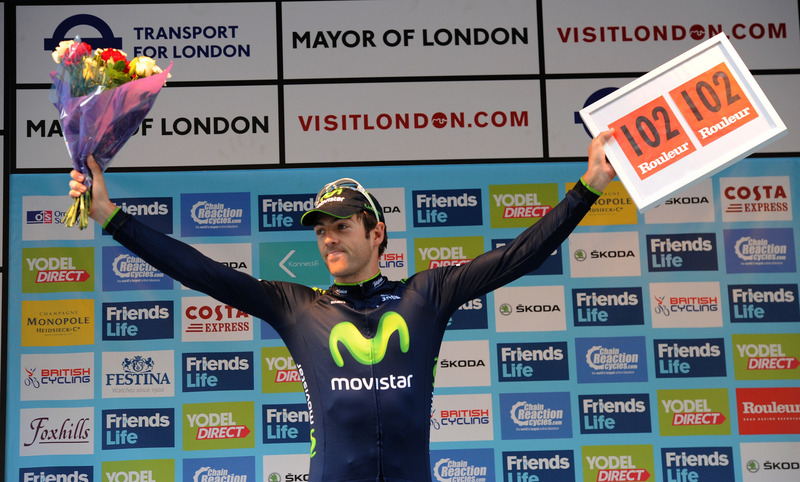 What have you thought of Alex Dowsett’s Tour? You could see in his face early on that he was trying to do something, and he forced it to pay off. It made a fantastic story for the whole race, so then to see him lose it the next day was disappointing. But on the flipside there’s been what 6 leaders in 7 days? It’s brilliant for the viewers isn’t it? and obviously I’ve been watching it on tv – it just made a really good package. It’s by far the best race I’ve seen since I came back. And the six man teams? Yeah I think six man teams have been good for the race, and I’ve always been a fan of no radios which is a bit contentious and seems to polarize opinions. The team has to do everything for itself on the road – they can’t have someone watching it live and dictating the shots – you’ve got to do it all, not just ride hard but sort the tactics and manage your own troops. I love that, so I think that yeah, that’s a very good point. Can Brad Wiggins (or anybody) catch Martin in the Worlds TT? I don’t think the Tour of Britain is ideal preparation, personally. The Vuelta – you can’t replicate that kind of workload in training. As intense as this race is, it’s a week. And it also needs to be part of a whole package, building up to something. 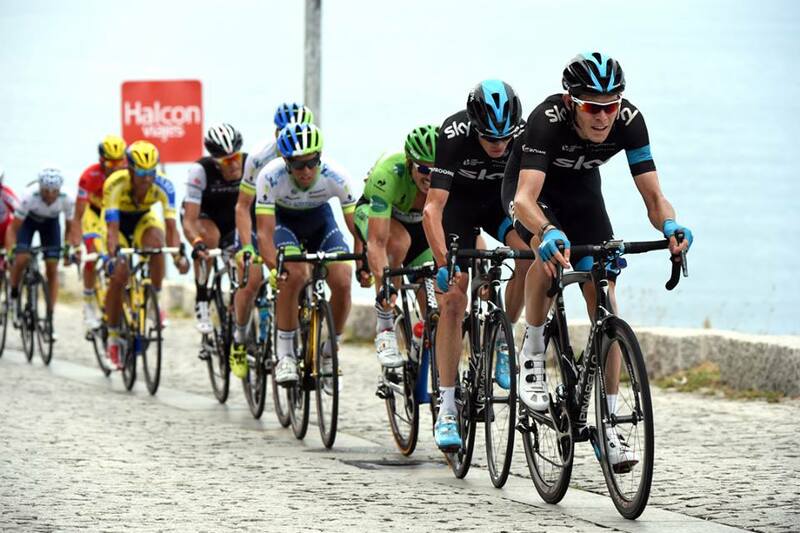 I bet Brad will be competitive but Tony Martin’s appetite for winning doesn’t seem to go away does it? Tony just commits to that one thing. I suppose it’s because he knows he can be World Champion again and it’s the biggest thing in the year that belongs to him, not necessarily the team. But he is a tough person to beat at the moment and I think that’ll be the case for a couple of years. Is there a chink in Martin’s armour? Not for that particular event. I mean, I think later on his career he’s come to understand that he’s a lot better than he thought he was. Because he can climb really well and now and again he shows flashes of that. But this is the one thing that belongs to him. I like the fact that I can see from a technical part of view that he’s looked at every aspect of what he’s doing which is symptomatic, rather than causal of his success. Every nuance of clothing that he uses, the position that he’s in and his bike and how he rides it, gear choice – you can see that he thinks about all of it. In fact Alex Dowsett is very similar actually – there’s an awful lot of thought going into what he’s doing – he doesn’t just go out and smash it. Can you see where Brad can narrow the gap? Well you see it’s difficult actually. I struggled when Brad was 3rd in the Tour – when he did that I thought, blimey I can’t think of anything else he can do – he rode that tactically excellently, he was about as skinny as he’s gonna get, physically he was as good as he’s ever been. I couldn’t work out what he could do differently. Sometimes I think it’s just carrying on doing the same thing. Has Dowsett got potential to step up to be ‘the new Brad’? I think 2 years before Brad emerged as a tour contender, everyone would have said Brad wouldn’t either. It’s very hard to say for sure in this modern era. But you can see the ingredients can’t you – you can see someone thought on their feet in the race and adapted a strategy to fit the situation he was in. The technical side of it he’s all over – he’s a very strong time trialist. I think it probably just comes down to climbing really. Can he lose the amount of weight he needs to do that and to do that well? I mean the engine’s got to be there. And also whether he gets given a shot, which is always the danger of joining a big team – it’s that you’re constantly at the support of someone else and each year ticks away and you’ve probably only got about ten opportunities. Is he likely to be Olympic TT contender in 2016? Yeah we’ve seen flashes – for instance at his Giro ride. We’ve seen more than flashes – we’ve seen potential and we’ve seen it realised on occasion, so you’ve got to say yes absolutely. His ride at the Commonwealth Games – albeit in his world it was probably not the biggest thing – it was a Championship among best people in the world and he achieved that win. That can make a big difference to somebody’s outlook of their own capabilities, how much they commit to doing and seek out the opportunities. Do you think there should be someone looking to create a British WorldTour team with a British majority? The depth of British talent is there. We’ll you have enough ingredients now haven’t you – you haven’t got 30 guys where you think they’re the best in the world and we’ll take ten of them. You’ve got enough riders now to just go and do it. It hasn’t been Dave’s strategy in recent years but they’ve got the potential to do it and I think we’d all love to see it. I don’t think it’s a particularly good idea from a performance point of view – to make one of your strategies “I’m only going to look in this pool” but you could make it British-biased if you wanted to and it would be highly successful if it was implemented at the moment. Is it something that you’d support or..
I’d support it but I wouldn’t want anything to do with it (laughs). It just, well it eats your life you know? I mean you guys know travelling around on a race like this that even on this side of the fence you say “Oh yeah I’ll do that and I’ll do this” and suddenly your entire year has gone. You’ve only got to say yes to ten things and it’s full. So it’s massively time consuming. But yeah it’d be lovely to see and I think it’d be awesome for British sport and cycling in general. The visibility we’ve had this year.. I mean really we could’ve done with having the Commonwealth Games being next year to help keep cycling in the public consciousness – so that there’s something there every year and it’d help us on several fronts. Would you point Halfords in that direction? I’m not sure they’re big enough. Their business is mostly UK based, UK focused, and you’re buying an international team, which is potentially 4 or 5 times bigger than one of the British Continental teams. 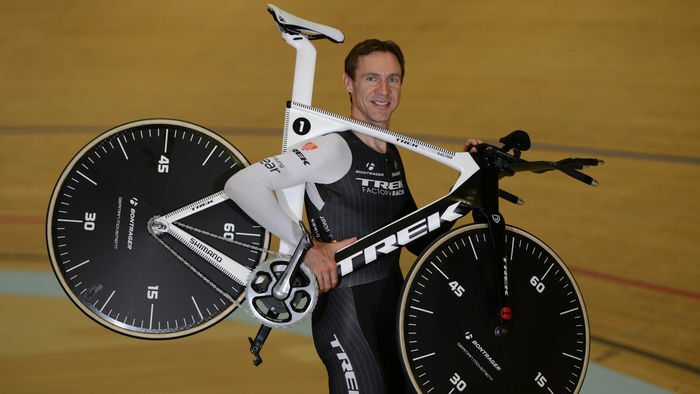 Have you spoken to Jens about his the Hour Record? No, we’ve exchanged a couple of texts and things. This is my post-Tour time with kids so I’ve been in the Lakes with them and up in Scotland this week so I haven’t been able to get involved. People said “go over and watch” and it’s a tough one actually because he is ace and it’d be lovely to see but no, we’ve got family plans and I’m gonna stick to them which is what I said 14 years ago. 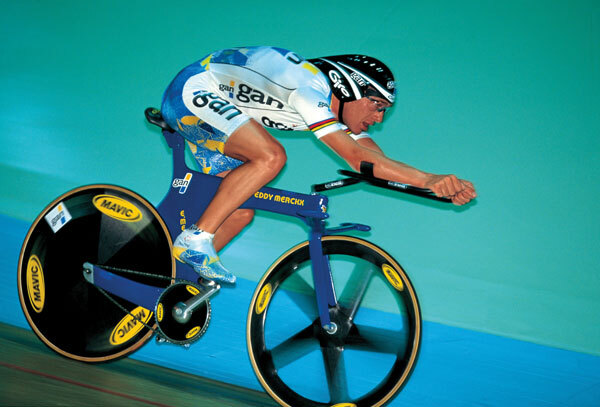 Is this what the hour record needed? It’s been a messy year – you know the UCI have said you can ride like this and now you can’t.. What are we gonna do with this then – stick it on the shelf over there.. Erm yeah it’s been messy. I think it’s nice they’ve found a way to reinvigorate it – they’ve just basically said “Stop. We’ll just start again. Right off you go.” It’s great – you’ll get Jens doing it, you’ll get Cancellara, hopefully Bradley and then you’ll probably get a spate of people. If you look at the history of the record it’s always been like that hasn’t it? It’s been like buses – nothing, nothing, three at once. It’s the way of it because somebody will take it to a level and then everyone else will got ooh, I’m not sure about that – because there’s no second place and then it’ll be left for a while. It should be good fun anyway. Yeah it will be. I think just the fact it’s being done again will be good. And Jens is doing it in a sensible way – just get in there quick and try to do it. Do you think he’ll do it? Well I don’t know what the record is. I mean have they set- What actually is the mark? Is it 49 kilometres or.. Ok so it’s 49 – I’d says he’ll be able to yeah. It’s not gonna be a walk in the park but yeah he can do that. Jens is a big unit and it’s not his forte – he’s just a big strong lad. So I would’ve thought so. He wouldn’t have done much riding on the track would he? It is important because something like that it’s just consecutive laps. It adds up – small errors add up and add up. I mean, we looked at covering a hat and not covering a hat in 2000 and that was 500 metres difference in the end. Ridiculous little things. But when you’re sat in what is effectively a wind tunnel really still – tiny things make a difference and they add up. I think he’ll just approach it as usual – smash it and stop when someone tells him to stop and see what happens. And I think he’ll probably do it. How close do you think he can get to your mark? (56.375km) How do you think he’ll compare to your attempt in the extreme position? (Puts arms out in Superman position) This kind of thing? Without that I think he misses 3 seconds a kilometre. So I think – I mean it’s a shame because at the time, I was in the best form I ever had, had the lowest pressure, everything was just perfect – really high temperature, Tour de France conditioning to deal with the really high temperature and it was just beautiful. But I think without the technological advantages it’ll be tough, but you never say never. I mean it’s been surpassed at 4km distance. When they’re doing 4:15s, which is now regular at the World Championships, even if you’re at that pace for the hour you’re going the same as the 4:11 pace if you’re riding like this (puts arms out in Superman position again) but I think without that it’ll be tough.